Want to learn how best to leverage a niche with your book? Listen as the relationship help doctor, Dr. Rhoberta Shaler, shares her wisdom on how a niche market serves you as an author. 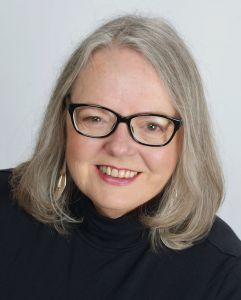 As a relationship consultant, mediator, speaker, and author, Dr. Rhoberta Shaler, The Relationship Help Doctor, provides urgent and ongoing care for relationships in crisis at home and at work. Her mission is to help people stop tolerating abuse. Even the United States Marines have sought her help. 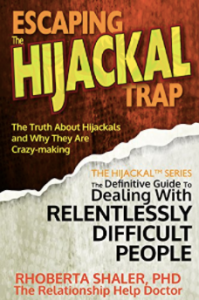 She focuses on helping the partners, exes, and adult children of the relentless difficult people she calls “hijackals”. She offers strategies for dealing the constant uncertainty and jaw-dropping behaviors of toxic people. Author of 16 books, including Escaping the Hijackal Trap and Stop! That’s Crazy-Making! How to Stop Playing the Passive-Aggressive Game. She’s the host of the weekly Relationship Help Show on BBS Radio. Rhoberta, welcome to the show and thank you for being this week’s guest expert and mentor. Recommendations to keep a healthy work/life balance. Here’s how to contact Dr. Rhoberta Shaler to find out more about her services.